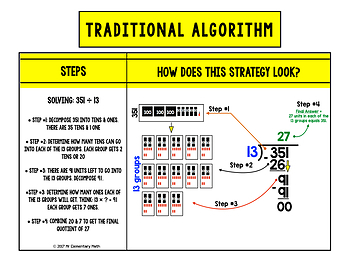 Need to reinforce conceptual understandings in division? 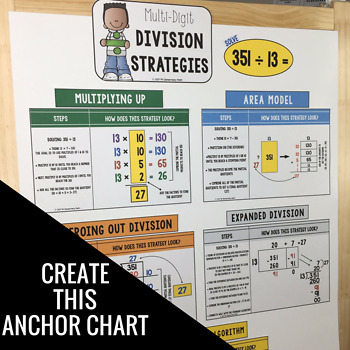 Looking to gain some additional division strategies under your belt to support the common core math standards? This poster kit resource is just what you need! 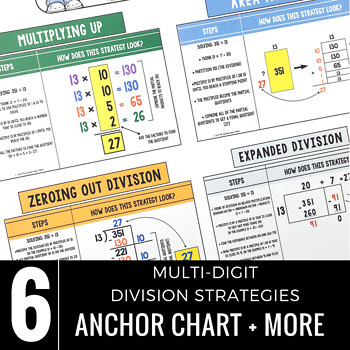 The Division Strategies Anchor Chart provides clear visuals for 6 different division strategies. 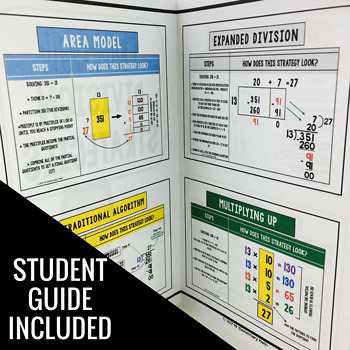 There is also a 2 page student reference guide for kids to use at their desks.